Birst business intelligence by Infor has an innovative new approach to viewing and implementing analytics. By focusing on leveraging the cloud across the entire enterprise model, Birst ties the thread of your data throughout the fabric of your entire organization. This anti-silo technology combined with Birst’s unique self-service capabilities puts it on the cutting edge of business intelligence solutions. 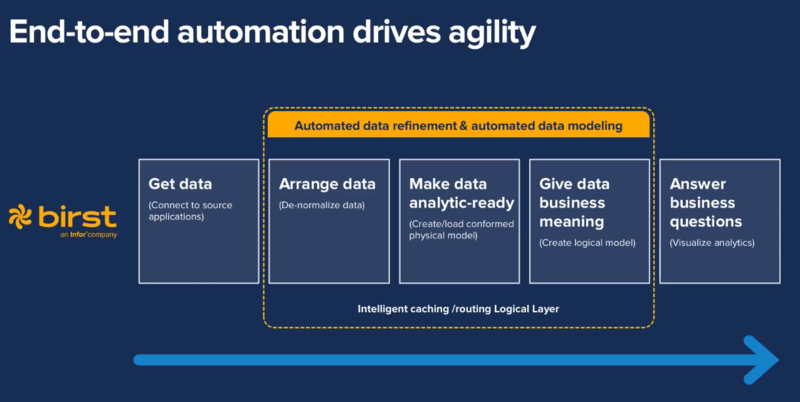 By connecting analytics from multiple departments there can be a single view of data on an enterprise level that eliminates the problems that are faced by other BI solutions. The networked BI model gives local users the agility to make analytical decisions through the hybrid of decentralized autonomy and end-user visualization. 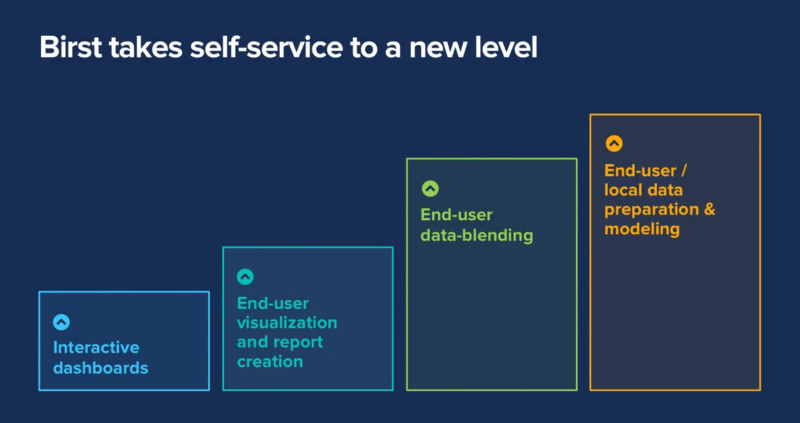 Birst is the only enterprise BI platform that connects an entire organization through a network of visualized BI on top of a shared analytical fabric. Users that have access to interconnected virtual instances of data are empowered to make the most accurate, data-driven decisions. An extended video demo of Birst’s core capabilities is available. Birst has created an innovative enterprise model that combines the benefits of enterprise BI with the speed of individual user analytics. 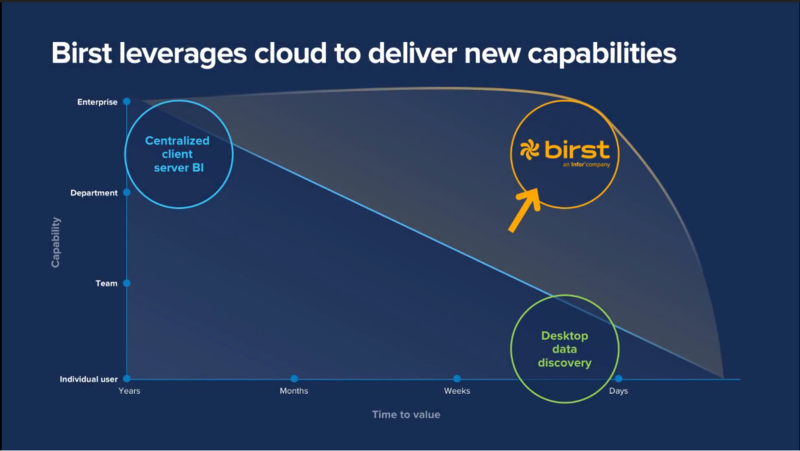 By leveraging the real-time data provided by desktop data discovery paired with the cloud-based analytics automation, Birst is able to provide powerful data for decision makers. Birst’s automated data refinement process pulls data directly from end users. This process automatically takes place as data is entered into the system. Pulling raw data directly into logic layers hosted in the cloud, Birst is able to arrange this raw data into analytical data to be processed. Once this analytical data is processed through the logical model, it is accessible to executive teams to give decision makers the metrics they need. The speed at which this process takes place is what gives directors the edge in making strategic decisions based on recent, relevant data. Birst allows for next level tracking of marketing and sales campaigns. Using metrics to track the success of your sales team or channel partners has never been easier.